Mesh: 1" weld supporting mesh & 459mm main mesh. PESOK TECHNOLOGIES “Manufactured Sand processing system provide our clients an advanced cost efficient technology solution for making “Manufactured Sand “ . Specifications : Motor - 1/20 Hp Single Phase, Cycles ¿ 50, Speed Regulator, Timer, Glass Jar, Syphon, Wash Bottle, Sieve - 53 Micron Dia. 100 mm. 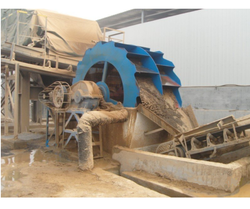 ‘SSHM’ sand washer is a kind of highly-efficient sand washing equipment, combining the advanced techniques and the domestic physical conditions of sand industry.Sand washing machine is sand washing plant, mainly used for removing dust in the ore. Impurity and dust are removed in the artificial sand production process. Sand washer is generally used to clear up and remove the dirt and contaminate mixed in sandstones matched with the sand making machine. 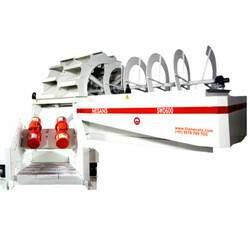 Novel sealing structure, adjustable overflow weir and reliable transmission system could fully ensure the complete washing and dehydrating.